Bagg was featured in several films including, Tim Robbins’ “The Cradle will Rock,” “MVP 2,” and “MXP.” Fun fact: he’s the only known comic to have worked for Judd Apatow and NOT become a multi-billionaire. Life has been amazing for Bagg being featured on such diverse networks as the History Channel, the Food Network, the Biography Channel and being the first ever Canadian to meet three US presidents -- Ronald Reagan, Jimmy Carter and George Bush…although only one was in the White House at the time, he met one on a plane and the other at a hockey practice. Ian went to school to be an explosives engineer, but a lucky chance at an open mic made him the volatile one. This manchild does over 100,000 air miles a year. He has had 2 half-hour specials, “Comedy Central Presents” and HBO’s “A Comics Climb” and has been featured in 2 seasons of “Gabriel Iglesias Presents Stand-Up Revolution” on Comedy Central. 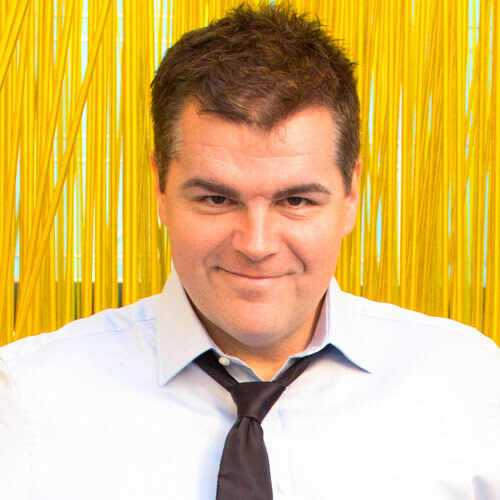 His latest one-hour special, “Ian Bagg: Getting to F**king Know You” aired on Showtime and can now be found on HULU for all you cable cutters. In 2015, Ian was a fan favorite and placed in the Top 5 on NBC’s “Last Comic Standing.” Additional, he did a 75 date national tour with the Last Comic Standing, performed with Gabriel Iglesias on an extensive European tour, and is currently headlining around the country.